A group of folklore performers made of up youth from the San Carlos area in Panama West will prepare for their first performance outside the borders of Panama. Together with the group Huellas de mi Folclore, the group will perform September 11th until the 18th in the annual festival of Quepos in Costa Rica. 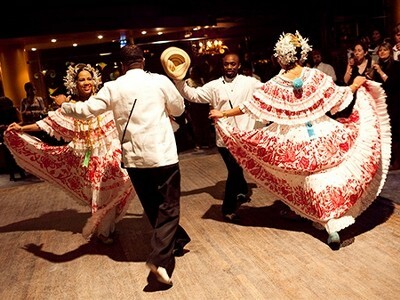 During the festival, presentations will take place to showcase the diverse regions on Panama, with santeros, chorrenanos, darienitas and chiricanos dance. The majority of young adults that participate in the group have been dancing folklore since they were small children. “It requires dedication, hours of practice and performance, but it elevates the passion for folklore. says Josue Atencio, member of the group. And with a lot of dedication, we are compensated with opportunities, like the opportunity to travel to Costa Rica, says Yoeli Gutierrez, a dancer in the group.